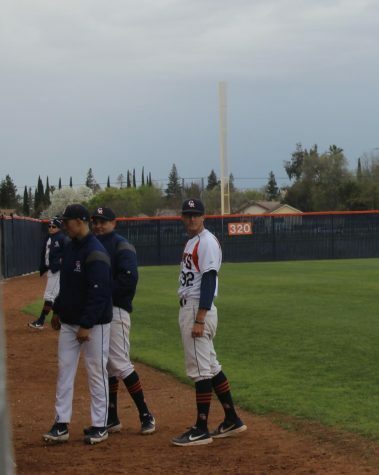 In a battle for first place in the Big 8 Conference, the Hawks baseball team fell short losing 5-3 against Santa Rosa on Saturday. 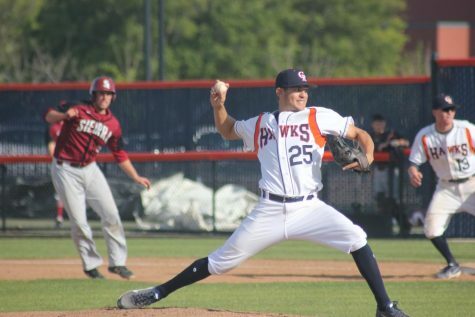 Hawks’ pitcher Matt Richardson gave up two runs at the top of the first inning that would reflect a series of team missteps throughout the game. Not dwelling on any single mistake, Richardson was unfazed and didn’t let fault defeat his focus. 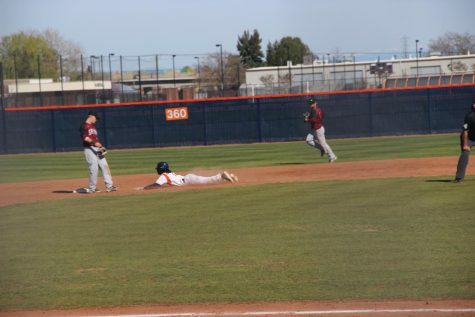 Hawks sophomore second baseman Devin Pettengill scored the team’s first run of the game after a ground out by Hawks’ outfielder Jordan Yu in the bottom of the first inning. 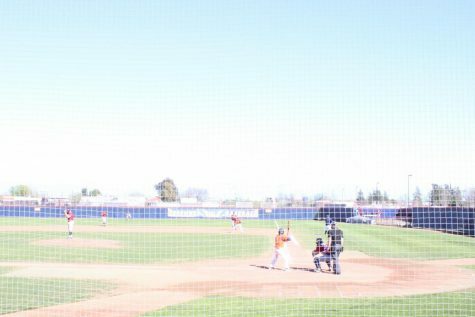 After no base runners in the second and third innings, Hawks showed signs of recovery with two men on base in bottom of the fourth. However, missed opportunities would end the fourth, 4-1 Hawks down. 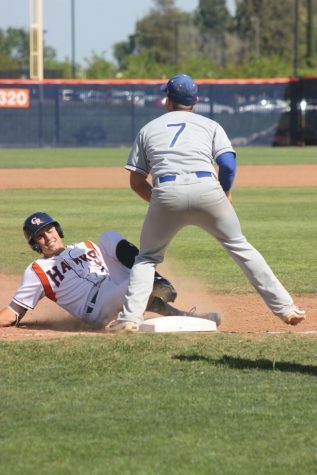 Trailing 5-1 in the bottom of the sixth inning with a runner on first and second, the Hawks caught a break when a controversial tag play at third went in their favor and put runners on second and third with no outs. With Yu on third, Hawks outfielder Jordan Estes slammed the ball into center field allowing Yu to score the team’s second run of the game. Freshman outfielder Chris Loeb then came through with an RBI single to drive in freshman first baseman Brian Morley. But the Hawks were unable to add on, stranding runners on second and third after a fielder’s choice and two strikeouts ended the inning. 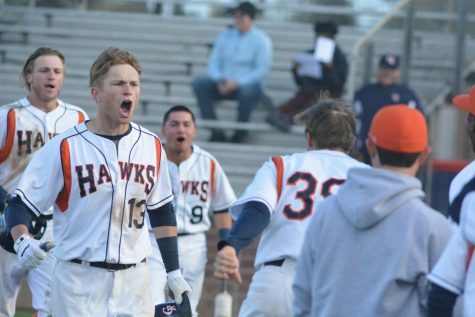 While the Hawks were able to cut the score down to 5-3 after six innings, the team repeatedly lost on chances to drive in runs with runners on base. Missed opportunities and a lack of timely hitting were a theme for the Hawks on Saturday as they left 13 runners on base in the game. 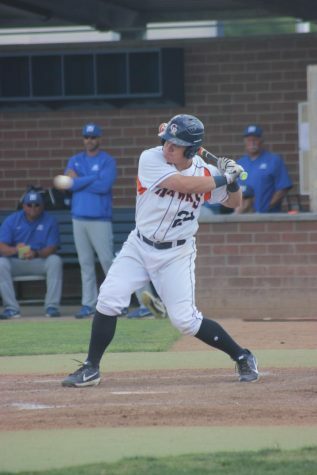 Their last opportunity came in bottom of the ninth inning after Morley and freshman outfielder Peyton Wheatley drew one-out walks, but sophomore outfielder Robert Daugherty and Loeb struck out to end the game. Coach Bloomfield noted difficulties coming into the game that the team wasn’t able to overcome. 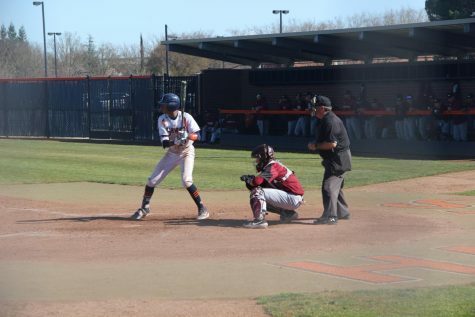 Sophomore shortstop Andre Gregory, who led the team with 36 RBI’s, is out for the season after injuring his wrist on April 21 against Sierra College. And whether the lack of his presence was reason for Hawks’ shortcomings is a matter of opinion. With only two more games left in the regular season, Coach Bloomfield emphasized that the Hawks have no time for feet dragging. 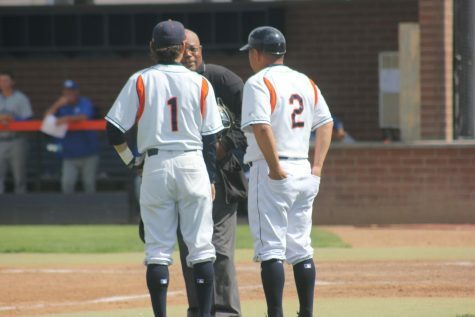 “We better hope we pitch to have a chance at the playoffs,” Bloomfield said. Approaching the next couple of games Hawks hope to keep mistakes behind them taking each one in stride, winning still on the horizon.